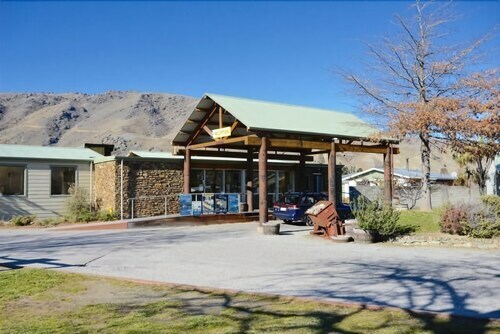 Situated in Cromwell, this motel is within 1 mi (2 km) of Cromwell Golf Course and Old Cromwell Town. Cromwell Shopping Centre and Lake Dunstan are also within 2 mi (3 km). This motel features dry cleaning, laundry facilities, and tour/ticket assistance. Free WiFi in public areas and free self parking are also provided. Other amenities include barbecue grills. All 10 rooms offer free WiFi. Cromwell Top 10 Holiday Park features tour/ticket assistance, barbecue grills, and laundry facilities. Wireless Internet access is complimentary. Complimentary self parking is available on site.